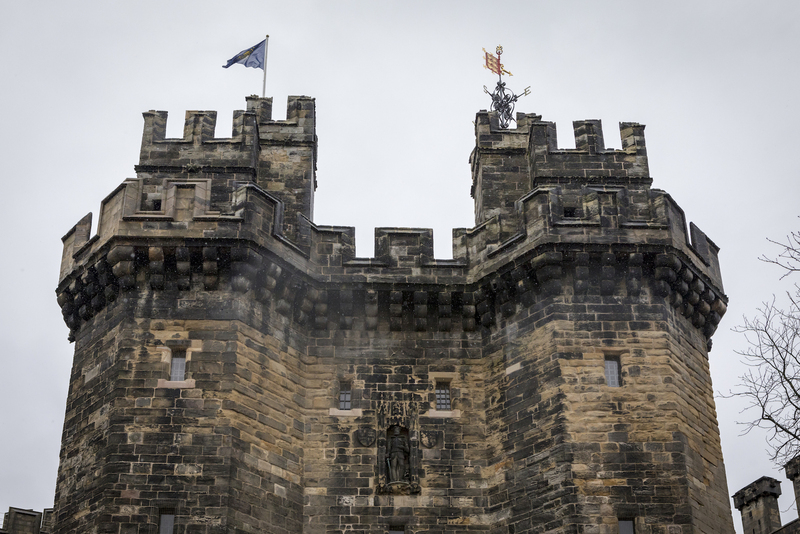 The Constable of Lancaster Castle Mrs Pam Barker DL raised the Commonwealth flag over the historic John of Gaunt gate this week to commemorate Commonwealth Day. 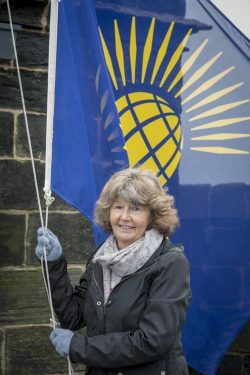 On 12th March 2018 the Commonwealth flag flew over the Castle for the first time in history as part of a nationwide demonstration of support for this international family of 53 nations, headed by Her Majesty The Queen. Similar flag-raising events took place across the country and in London senior members of the Royal Family joined The Queen in a multi-cultural, multi-faith service at Westminster Abbey. This year, Commonwealth Day preceded the 2018 meeting of the Commonwealth Heads of Government which also took place in Britain for the first time since 1997. Adopting the theme ‘Towards A Common Future’ the meeting brought together the leaders of 53 independent member countries representing some 2.4 billion citizens. Building upon the 2017 theme of ‘A Peace-Building Commonwealth’, this year’s meeting explored how the Commonwealth should address global challenges and work to create a better future for all citizens in common areas of concern such as sustainability, safety, prosperity and fairness. The Commonwealth flag features a golden globe surrounded by 34 gold spears on a blue field. This design was adopted in 2013 as a modification of an earlier design adopted in 1976.